In times past, if there was music playing in Starbucks, chances are it'd be Katie Melua or Buena Vista Social Club. Obviously that's GREAT, but there may now be new sounds echoing through the mid-range bean dispensary, courtesy of Spotify and the brand's staff. After ditching CDs earlier this year, Starbucks and Spotifyhave released a joint statement declaring that the coffee giant will now stream Spotify tunes in store. As part of a multi-year agreement, 150,000 employees will get a complimentary Spotify subscription, which also means baristas will be able to choose what music gets played, "using tools provided by Spotify" (a Spotify account, presumably). These playlists will then be accessible on Spotify via the Starbucks Mobile App so that customers can enjoy the sounds of Starbucks anywhere, anytime. We asked Spotify and Starbucks, and they have confirmed that staff will be able to play whatever they want, rather than having to pick from pre-approved lists of artists (Katie Melua, Buena Vista Social Club, etc). So perhaps you'll be able to enjoy The Dead Kennedys, Throbbing Gristle and Pig Destroyer whilst nursing a skinny macchiato and a Danish. The scheme is set to start in 7,000 locations in the US this year before rolling out to Canada and the UK "shortly thereafter." The plan will also allow the 10 million members of Starbucks' Rewards scheme the chance to influence what is playing in their local coffee shop. So presumably you'll be able to force them to play Run For The Hills by Iron Maiden, the angry anti-capitalist screeds of Rage Against the Machine, or the early works of Ice Cube, if that's your bag. 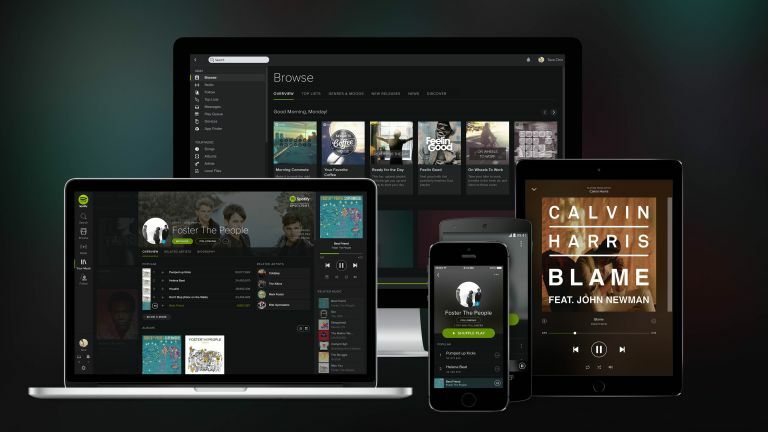 Spotify will also include on its service a dedicated section featuring new playlists from Starbucks and its most popular music from the past 20 years, available to all Spotify users.